For customers that want added resilience the Vega Gateways can also be connected to the legacy lines analogue and ISDN. 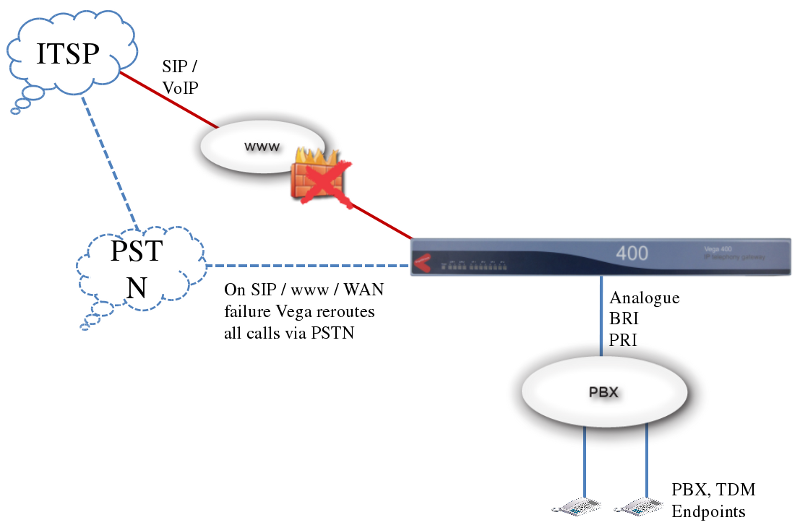 This overcomes concerns about what happens if the companies IP connection fails because the Vega will automatically switch the routing of outbound calls to the legacy lines. Inbound calls are also automatically routed via the legacy lines by the service provider so inbound calls will continue to arrive with out the customer having to make any changes.